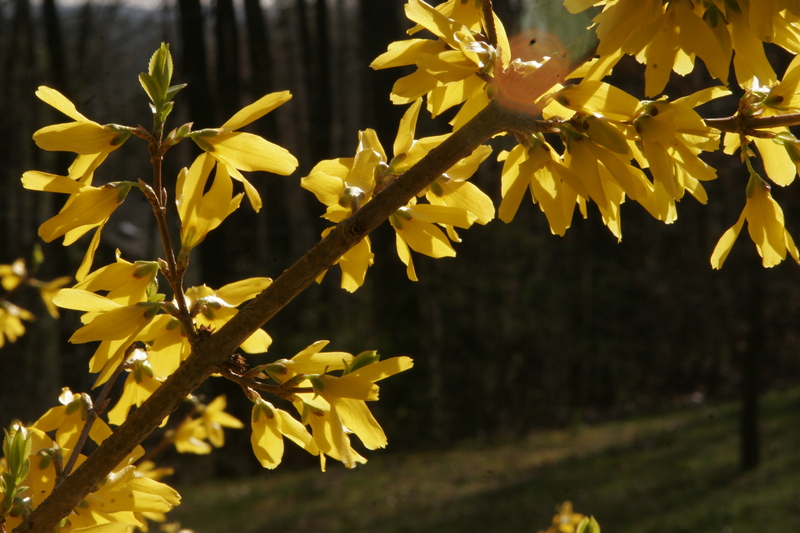 When I was a kid, I used to feel like the blazing, brilliant yellow forsythia that first graced our eyes in the spring were meant for me. Not that I associated myself with that name, Cynthia, too frequently. I only heard it from my mother at a high pitch when I did something wrong. But riding my bike every day, I have grown accustomed to the brilliance of the spring once again- the magnolia trees, the magnificent cherry trees, patches of daffodils in the yards, lush carpets of watercress in the seeps and creeks, and the new birds returning- the phoebe and the melodic thrush. They ‘re all like old friends that I feel I haven’t seen in a long time and sorely miss. I am not particularly fond of being attached to my desk chair and computer as I write, although I must admit, I head straight there in the early am in my robe without getting coffee and stay there until late at night because I’m enjoying writing so much lately ..BUT if I didn’t take my daily bike ride or hike through the forest and get to witness the gorgeous Spring’s return, it would be a terrible loss. If you haven’t been out and are only observing it in your car, give yourself the permission to take some time and experience it intimately. The joy you feel has a marvelous way of lasting all the rest of your day.